So he’s not always reclusive and not always averse to being photographed. Maybe it would be better to say that he likes to choose his encounters. As a freelance Marxist who started out as a very literate and literary writer—someone who has spent much of his life traversing the globe, often visiting the figurative or literal colonies of the empires that have sent him, and photographing people as well as writing about his experiences—Marker is often at the mercy of individual assignments and particular invitations. But in his more personal films, which are invariably his more ambitious ones, he understandably wants to call the shots himself, and to spend more time figuring out what they mean to him, letting his literary persona reflect on his photography and allowing his political conscience some further ruminations. And given the vicissitudes of Marxist causes over most of the twentieth century as well as the span of his travels, second and third thoughts are an essential part of the process of sorting things out. It’s a private activity in some ways, yet one that he feels moved to share openly with an audience, at least within certain parameters. That’s why his qualifies as a first-person cinema, as suggested by the above quote from Marker (which I owe to the other essential English book about him, Catherine Lupton’s Chris Marker: Memories of the Future), and exemplified above all by Sans Soleil (1983), his testament and his masterpiece. In the opening moments of Sans Soleil, a cinematic essay and travel film made up of asides and digressions that form a portrait of late twentieth-century civilization, Marker takes us from rural Iceland in 1965 to Japan in the early 1980s, with fleeting references to Africa, Île-de-France, and the Bijagos Islands. “I’ve been round the world several times and now only banality still interests me,” a narrator remarks. “On this trip [to Japan] I’ve tracked it with the relentlessness of a bounty hunter.” The compulsive globe-trotting implicitly becomes part of what he’s reflecting upon. But how Marker says this is as pertinent as what he says. Part of the unorthodox yet unassailable logic of Sans Soleil is that the shortest, simplest route toward Marker achieving an intimate and honest relationship with us is a fictional, nameless woman heard offscreen, reading aloud from, or else paraphrasing, letters sent to her by a fictional, globe-trotting cameraman named Sandor Krasna—assigned a fictional birth date and bio in this release and in the French DVD, as is his kid brother Michel, the credited musician and another one of Marker’s sly aliases. Most of Krasna’s travels are to Africa and Japan, “two extreme poles of survival”—though a significant stopover is also made in San Francisco and environs to retrace the locations of Alfred Hitchcock’s Vertigo, an obsessive point of reference for Marker. The entire adventure is framed by shots of children in Iceland, which signifies happiness for him. In Sans Soleil, Africa, as Marker has noted elsewhere, is “presented . . . by two of its poorest and most forgotten countries, even though they played a historical role: Guinea-Bissau and the Cape Verde islands.” Meanwhile, so much of what we see of Japan, specifically Tokyo, consists of relatively marginalized activities having to do with animals, death, and video and TV images. Significantly, wherever he happens to be, what Chris Marker/Sandor Krasna sees and chooses to emphasize has a lot to do with who he is. And how Marker thinks about these things is often inflected by his relative distance from the material, in miles as well as years. But why such elaborate subterfuges to avoid simply saying “I,” collapsing cameraman and filmmaker into the same figure, crediting himself with the film’s beautiful text and haunting electronic music, and perhaps even supplying his own voice-over? I believe there are several good reasons for these games, all highly characteristic of Marker, and most of them entirely functional rather than simply coy. As someone born with the very French name Christian-François Bouche-Villeneuve in 1921 (eleven years before Sandor, and twenty-five before Michel), and who renamed himself in the late forties and early fifties, initially as a writer (before making his first film in 1952, he was a published novelist, poet, critic, and journalist, as well as a playwright), it seems that he has always embraced the tradition of guarded intimacy that seems classically French, the province of a kind of writing ranging from Montaigne to Proust to Barthes. Through the beautifully written, quasi-literary texts used in his films, Marker develops a relationship with his audience that is at once confessional and secretive, so that we’re made to feel simultaneously that we know him well and we don’t know him at all. (He extends the same courtesy toward his friend Andrei Tarkovsky in his 1999 feature One Day in the Life of Andrei Arsenevich, the best critical analysis of Tarkovsky’s work that I know.) And there are good political as well as tactical reasons for deflecting attention away from himself. The implication is always that it’s the sincerity and lucidity of the thoughts and feelings rather than the individual ego behind them that counts. This has direct consequences in the various ways we attend to and respond to Sans Soleil; the personal address, even if it’s detached from the actual person, can’t help but elicit a personal response from us. The year after I met Marker, I was privileged to spend an evening with a few others at a Tokyo bar named after his film La Jetée. Although I was told it wasn’t the smallest bar in Tokyo or even the smallest in that section of Tokyo, it sat a maximum of a dozen people. The chummy, cozy feeling such close quarters provoke is very much in keeping with the one-to-one address of Sans Soleil, which is prevented from ever becoming in the least bit clammy, oppressive, or overly aggressive by virtue of being relayed to us not by Marker’s own voice but by someone else’s, the voice of a mediator, calm and female, speaking reflectively—a kind of friendly distancing device. For thirty years, this voice tells us in Sans Soleil, Japanese cinephiles have gone to this theme bar (by now, this would be over half a century) and hung out under blowups of some of the film’s still images, one of the things Marker—via Sandor and the woman Sandor writes to—says he’s proudest of. If it were just Marker telling us this, it would sound like immodest boasting and might even make us squirm; this way it’s both objectified and mediated, made easier for him to say and for us to respond to. Which is the point, really: Marker sees the very act of communication as a shared and mutual process—not a one-way street as it is with most fictional directors, imposing their personal mise-en-scène on us as a kind of stamp of authenticity. Splitting himself into several voices and personae invites not only a dialogue between them all but also a conversation between all of them and us. So it’s significant that Marker typically assigns himself the credit “filmmaker,” not “director.” It’s tempting to speculate about whom he might identify as the “director” of Sans Soleil, or of The Last Bolshevik (1993), his lament for the fall of Communism, filtered through the life and career of Alexander Medvedkin. “The twentieth century” seems a likely guess, for part of the meaning in both these alluring works of wisdom is the ambiguity of causes, of agency, of direction itself, in the dreams and nightmares of contemporary history—the issue of who is doing what to whom. Brilliant works of indirection, they imply that the only reliable route to truth is through intermediaries and filters. 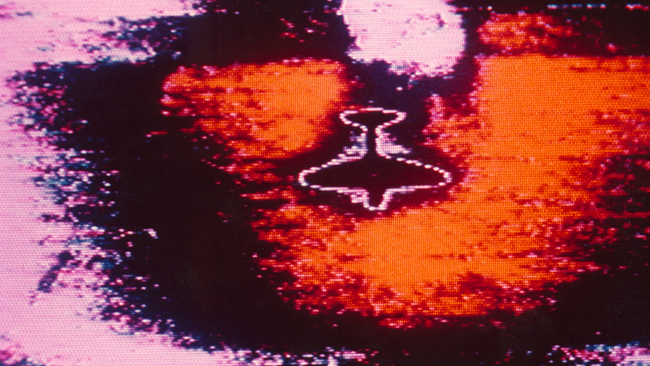 In the graceful English versions of these works, translation provides another form of mediation, as do the various transfers between film and video within each work. (Sans Soleil is a film and The Last Bolshevik is a video, but both make plentiful and expressive use of both media.) And a further advantage gained from this mediation is Marker’s chameleon-like capacity to shift certain national characteristics as he moves from one culture to another. All proportions guarded, one might suggest that he typically comes across as a European Marxist in Africa, as an American obsessed with technology and technical innovation in Japan, and as a French surrealist in the U.S.—always a naturalized tourist of some sort rather than either a citizen or a greenhorn. There’s a wonderful French expression with no easy English equivalent, ésprit de l’escalier, and it’s profoundly a writer’s dilemma: the experience of thinking of something to say after the perfect moment for saying it has passed. (The expression translates literally as “staircase wit” or “after wit”—the kind of witty remark that comes to mind just as one is leaving, heading down the stairs.) Marker’s artistic persona in his essay films is typically split between his identity as a spontaneous, roving cameraman or still photographer and his identity as a writer thinking and reflecting much later about what he’s shot. His essay films can be seen as waking reveries that finally enable him to join raw, primeval impressions with studied afterthoughts in an ideal sort of congruence—a marriage made in heaven, so to speak. Marker’s surrealism and his Marxism are still fully operative in Sans Soleil. Yet they’re both tempered by what I’ve already described, too simplistically, as “an American obsessed with technology and technical innovation” in the Japanese segments, which are actually the portions that predominate the film. I’m thinking in particular of Marker’s fascination with the work done on a video synthesizer by video artist Hayao Yamaneko, whom he first met when the latter was an artist in residence at the University of California at Berkeley, and whose semiabstract images, “played” as if on a musical instrument, become increasingly important over the latter portions of Sans Soleil. The latter point appears to be a free translation of the French text, which says, more or less, “In the same way that one can sometimes read on cabin doors ‘The Concierge Is Inside [i.e., under] the Stairs,’ one would like to preface this film with a placard: ‘The Fiction Is Outside.’” More generally, Marker, subdividing himself between cameraman, filmmaker, and anonymous describer of his own art, seems to be saying that the images he spent his lifetime accumulating can actually have a conversation among themselves—or better yet, a musical conversation that sings to us about the differences between past and present, colonizer and colonized, witness and participant, reporter and friend. And the fictional apparatus that makes this possible, author included, becomes disposable tissue as soon as it delivers the goods. Jonathan Rosenbaum is a film critic for the Chicago Reader. His books include Essential Cinema, Movie Mutations (coedited with Adrian Martin), Abbas Kiarostami (with Mehrnaz Saeed-Vafa), Movie Wars, Dead Man, Movies as Politics, Placing Movies, Greed, This Is Orson Welles (as editor), Midnight Movies (with J. Hoberman), Film: The Front Line, 1983, and Moving Places.